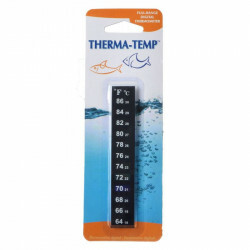 Maintaining a consistent and proper temperature in your aquarium is crucial to preserving the health and activity of your fish and other aquatic pets. 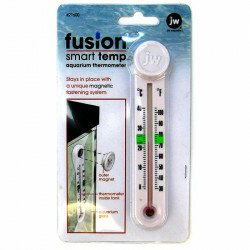 Fish are extremely attuned to the level of heat in their environments, and most are specifically adapted to a relatively narrow temperature window. 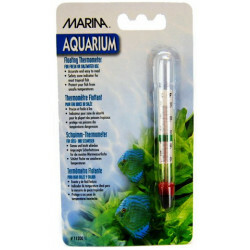 Keeping an accurate, easy-to-read thermometer on or in your aquarium at all times is essential to making sure the water temperature never dips too low or rises too high for your pets to survive and thrive. 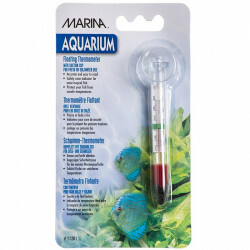 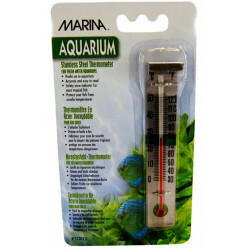 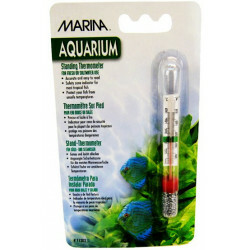 Pet Mountain's Aquarium Thermometers store features top quality products from the most trusted names in aquarium care and equipment, including Hagen Marina, ATI, Zoo Med Aquatic, Lifegard Aquatics, Penn Plax and more. 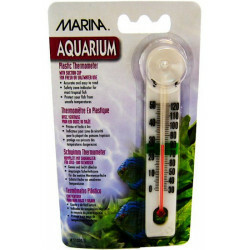 The Hagen Marina Suction Cup Thermometer comes with an attached suction cup to secure it tightly to your aquarium wall. 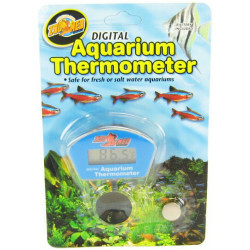 It features Fahrenheit and Celsius readings and is suitable for fresh and saltwater. 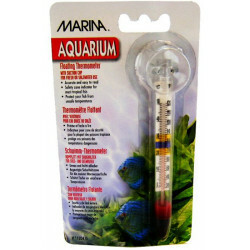 A safety zone indicator lets you know the ideal water temperature for most tropical fish. 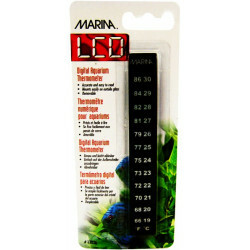 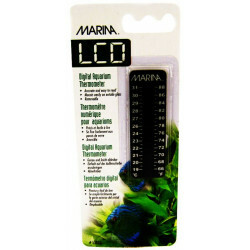 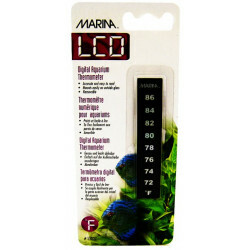 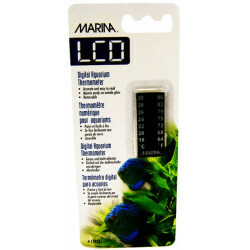 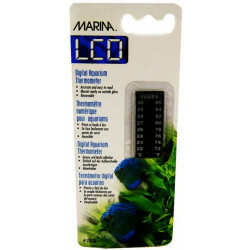 The Marina LCD Digital Aquarium Thermometer is an easy-to-read liquid crystal display (LCD) aquarium thermometer that is reliably accurate to plus-or-minus 1¡ F: no guessing, no color confusion. 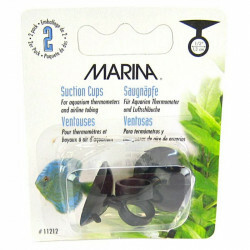 Mounts vertically & easily sticks to the outside surface of any aquarium. 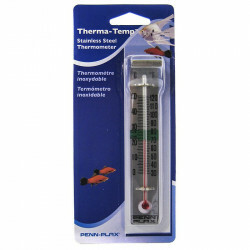 Just place this removable thermometer in an easy to read position below waterline. 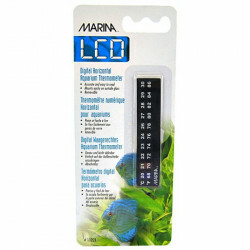 THe ATI Vertical Aquarium Thermometer lets you know your aquarium's temperature at a glance. 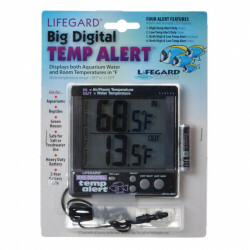 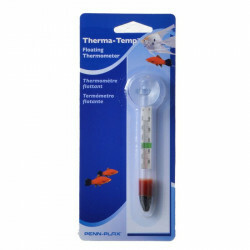 This easy-to-read and accurate thermometer mounts on outside of your aquarium. 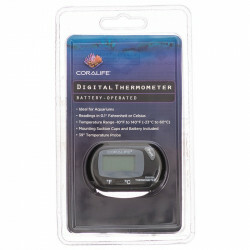 It is unbreakable, non-corrosive, and non-toxic, and reads in the Fahrenheit scale.